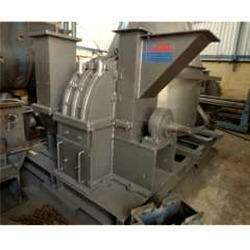 Offering you a complete choice of products which include mini pulverizer, coal pulverizer and chemical pulverizer. We are the pioneers in the industry for manufacturing and supplying Mini Pulverizer. The offered product is used for powdering substances in chemical, agricultural, minerals and the metal industries. It is exceptional in performance, energy efficient, easy to install and available at cost effective prices. Being made from high grade of material, it is resistant to corrosion. The Star Trace Coal Pulverizer is one of the oldest equipment manufactured by us. It is specialized in handling coal as it has been designed keeping in mind the parameters that need to be incorporated for effective handling. This coal is used for combustion in the steam-generating furnaces of fossil fuel power plants. 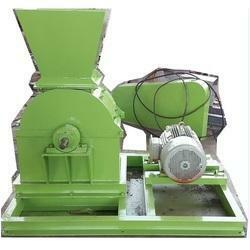 The Coal Pulverizer is well know for its features of low nitrogen oxide combustion systems. It is available in numerous dimensions for the utility of wide range of clients who use it. We have set a benchmark in the industry for manufacturing and supplying Impact Pulverizer. The offered pulverizer is used for powdering of substances in the food processing, agricultural, minerals and chemical industries. It is meant to decrease the down time of work, is energy efficient, easy to install and widely available. Being made from high grade of metal, it is resistant to corrosion.